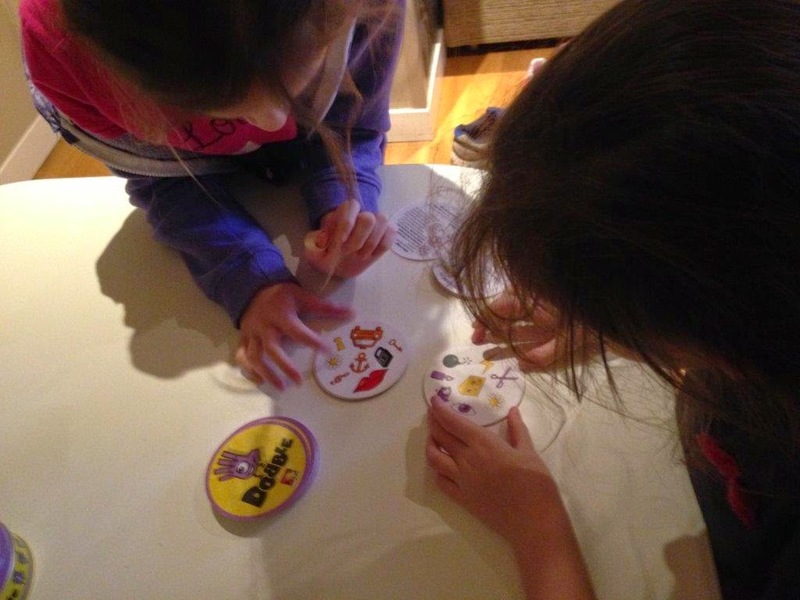 Home Christmas Dobble gift review toy review Christmas gift idea for anyone - Dobble! Are you still looking for those last minute Christmas gifts or stocking fillers? Well look no further, I have the perfect suggestion for you..... DOBBLE. 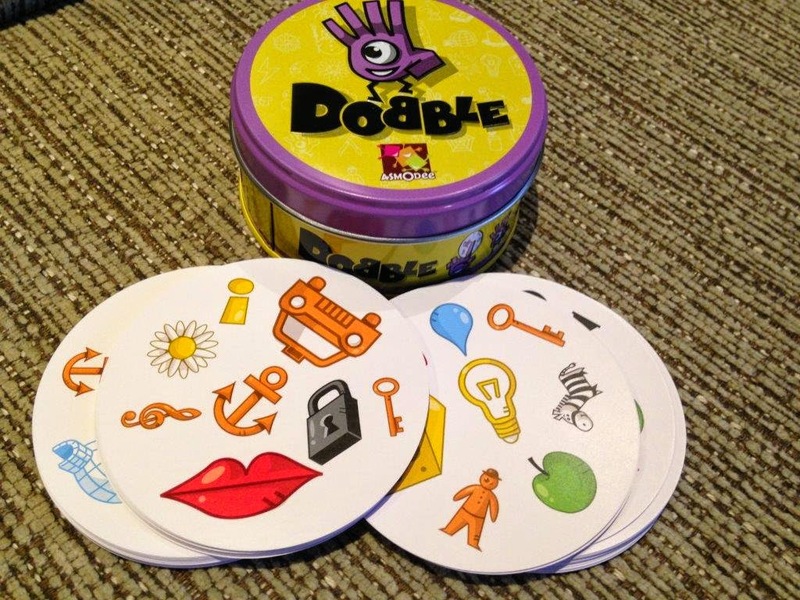 This is a card game which comes in a lovely round tin, and which can be played by pretty much anyone (it says aged 6 and over, but I reckon you can still enjoy it with the toddlers - as long as you let them win). It's a fast paced game, and there are 5 different versions which you can try out. Personally I think you could even play it alone! There are 55 cards, with 8 symbols on each card, and over 50 symbols in the pack. All you have to do is be the first to spot the matching symbol on any two cards. Sounds easy, doesn't it? Well let me tell you, it's not. Sometimes our youngest can actually beat us to it, we don't even need to let her win! We really enjoyed this on a rainy day whilst away at Center Parcs recently - the size of it, and the handy carrying tin, means that it is very portable and perfect for travel, so it can be played all year round. 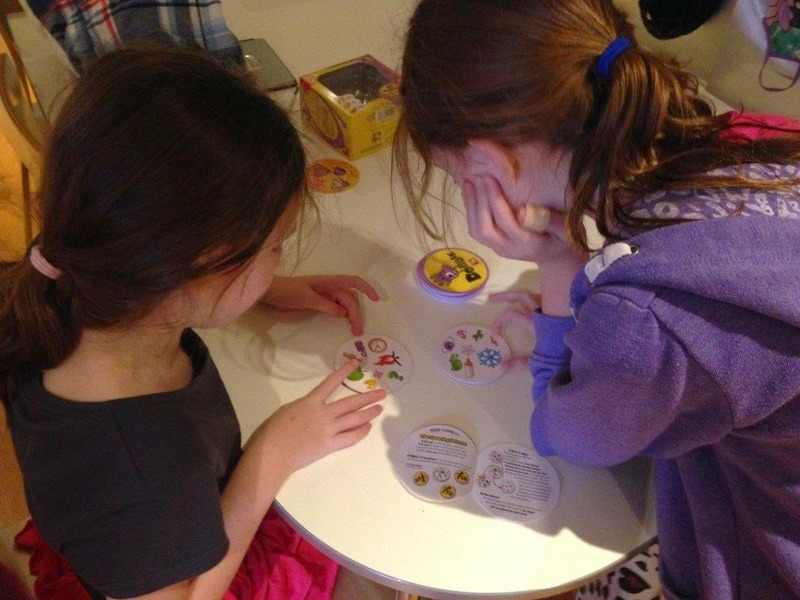 We even played it as a family whilst waiting for a meal (though we did have to try hard not to scream out loud!). It's so good, it was named in the Telegraph's Five of the Best Board games. 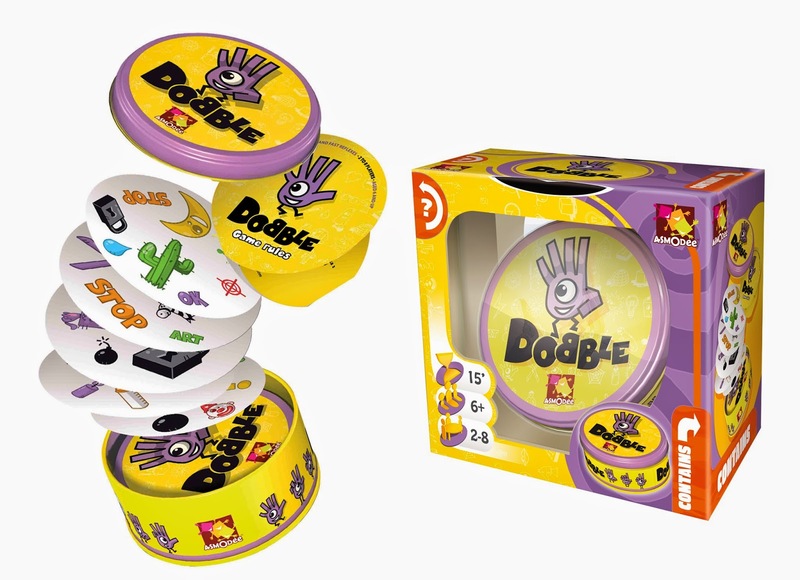 You can read more about it on the Dobble Facebook page. Retailing at around £12.99 (but there are some good discounts on at various retailers at the moment), I definitely think this will be well received by anyone, young or old. Seriously, one of the best gift ideas I am ever going to give you. No need to thank me, I'm just kind like that. We were given the above product for the purpose of this review, but have not received payment. All the views expressed here are honest and our own.